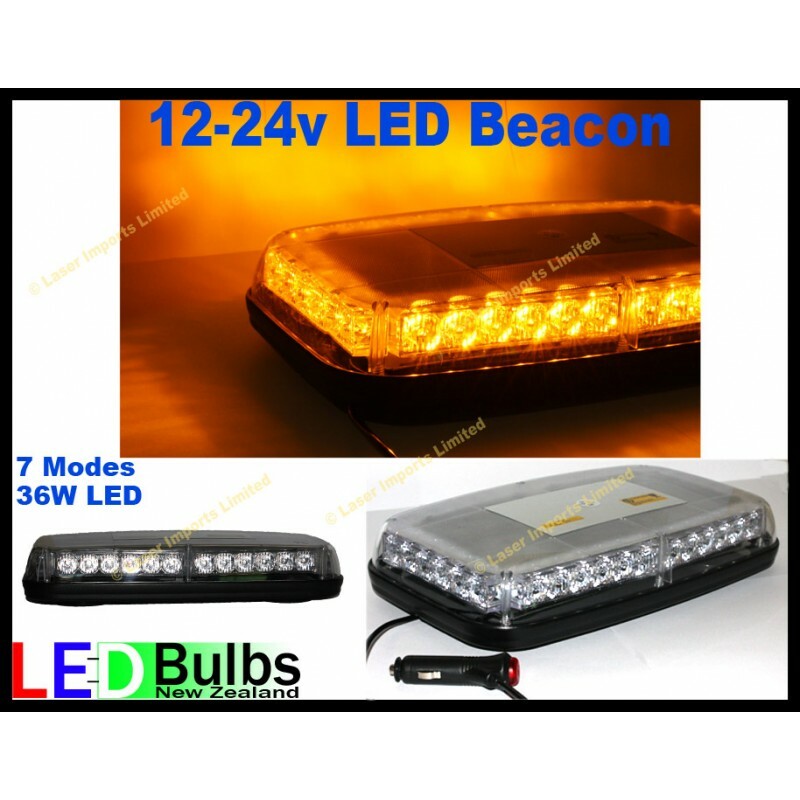 You are buying one amber beacon light bar with 30x 1W leds. This has strong rubber coated magnets on the base for easy mounting. Plugin cigarette lighter switch to change the modes and to turn it on and off. Save fuel, this is much lower profile than the older style halogen beacons so it creates less drag when driving saving you fuel. Also as it only draws 36W you don’t have to leave your engine running compared to the old halogen lights they were 200W and over. The LED's are long last with a life span of over 30,000 hours. Cord length 1m coiled up, extends to 3m un coiled. Cigarette lighter plug with fuse. + 5 other fast flashing modes for off road use. Great for Trucks, diggers, rollers, TMP, Work vans, Roadworks, graders, forklifts, rapid response vehicles, wide loads, vehicle recovery, tow trucks, Pilot vehicle and more.